We offer a variety of cosmetic enhancement procedures. Below are just some of the many procedures that we can perform to help you achieve the look of your dreams. If you have any questions about aesthetic procedures or wish to schedule an appointment for an initial consultation, please feel free to give us a call. We welcome the opportunity to talk with you. Dr. Steve Weiner is a board certified Facial Plastic/Head and Neck Surgeon. His services include BOTOX cosmetic, Restylane, Belotero, Juvederm, Perlane, Juvederm Ultraplus, Artefill, Radiesse. 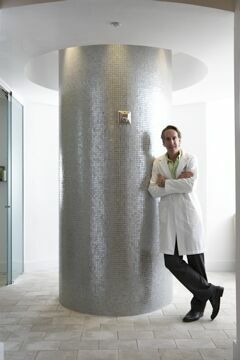 He also performs laser resurfacing with the new Fraxel Dual Laser, Laser Hair Removal. For Body Contouring, Coolsculpting by Zeltiq. Laser Tattoo Removal with Spectra laser, Inifini Skin Tightening. He services: Destin, Panama City, Rosemary Beach, Seaside, Watercolor, Watersound, Crestview, Niceville, Atlanta, Birmingham, Nashville, and Sandestin.